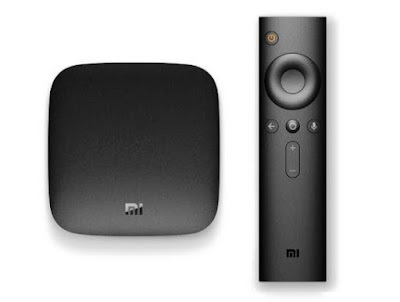 Apple TV Alternative Mi Box 4, Mi Box 4c 4K Xiaomi Mi Box Specs, Price and review. Xiaomi Mi Box 4, Mi Box 4c Smart TV Boxes with the user interface based on artificial intelligence and 4K support released: price, specifications. Xiaomi on Monday introduced the fourth-generation Mi Box in China. The Chinese company had announced the 4K HDR smart TV box with Android in two versions: Mi Box 4 and Mi Box 4c. While the Xiaomi Mi Box 4 has a price of CNY 349 (approximately Rs.3,500) and the Mi Box 4c is more affordable, since it is available in CNY 249 (approximately Rs.2500). Meanwhile, records for the devices are now open and sales will begin on February 1 in China. The new smart TV boxes are the successors of Mi Box 3c and Mi Box 3s that were launched in 2016. Xiaomi had brought the two devices with the same user interface based on AI PatchWall. In particular, the first Mi Box was presented at Google I / O 2016. The Mi Box is a standalone decoder that runs Android TV and can be used to stream 4K video content. The Mi Box 4 includes Xiaomi's Pathways artificial intelligence-based user interface. It allows users to browse the content by voice search on the remote control. It is also capable of learning the user's viewing habits and suggests content based on their preferences. In addition, the Mi remote control works with most smart devices. The smart TV box is also compatible with the 4K HDR video together with the output of the Dolby Audio + DTS-HD audio decoder. The Mi Box 4 is powered by a 64-bit Cortex-A53 Amlogic S905L quad-core processor with a Mali-45 GPU of 3 + 2 cores. It contains 2 GB of RAM and 8 GB of internal storage and provides 4K (3840x2160) HDR output at 60 fps. Connectivity options include Wi-Fi 802.11b / g / n, an HDMI 2.0 port and a USB 3.0 port. There is also a 3.5 mm composite output. When it comes to Mi Box 4c, it offers features similar to that of Mi Box 4. However, the difference is in RAM and Bluetooth. The Mi Box 4c has 1 GB of RAM. In addition, while Mi Box 4 includes support Bluetooth 4.1 LE, the Mi Box 4c uses infrared.